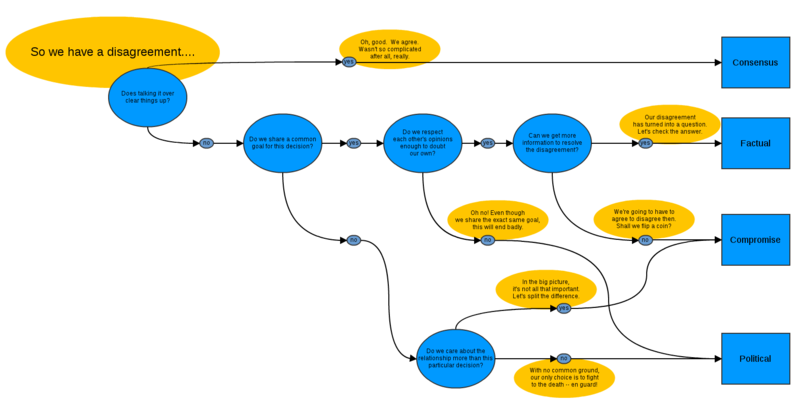 compSocSci: A flowchart about disagreement. With haikus! Here's a flowchart for resolving disagreements. I made this up after a disagreement that worked out badly -- I wanted to think through how we could have avoided the problem. Also, it was a chance to write haikus. What do you think? How would you extend or revise this picture?